With rain (and temperatures!) falling across the region, there are new fungi popping up daily. Some fungi are obvious - large and colourful. Others are cryptic - tiny and brown. But they are all quite fascinating! So get to know the fungi in your own patch. Take some photos, make some observations, and then record your sightings on NatureMapr. 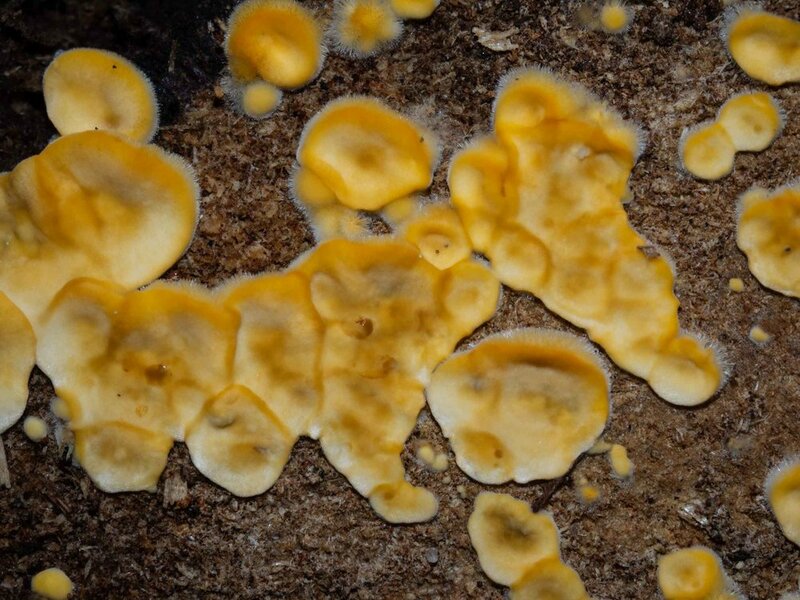 The Atlas of Life community includes people experienced in fungi ID, happy to share information, and keen to see what you are seeing. And you'll be making a significant contribution to the Atlas of Life records, and so to our knowledge of local biodiversity. Fungi are quite easy to photograph and document. 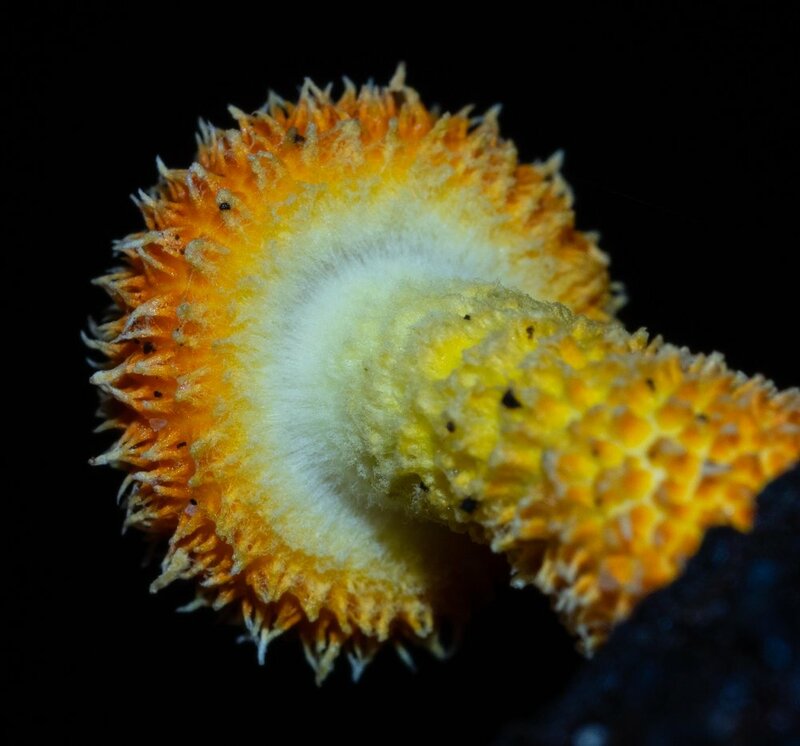 They are diverse, yet identifiable (at least to major group or genus level). And you don't see them year-round – so it's worth recording every 'new' and different one that you come across. 2: What is it growing on? 3: What else did you notice? 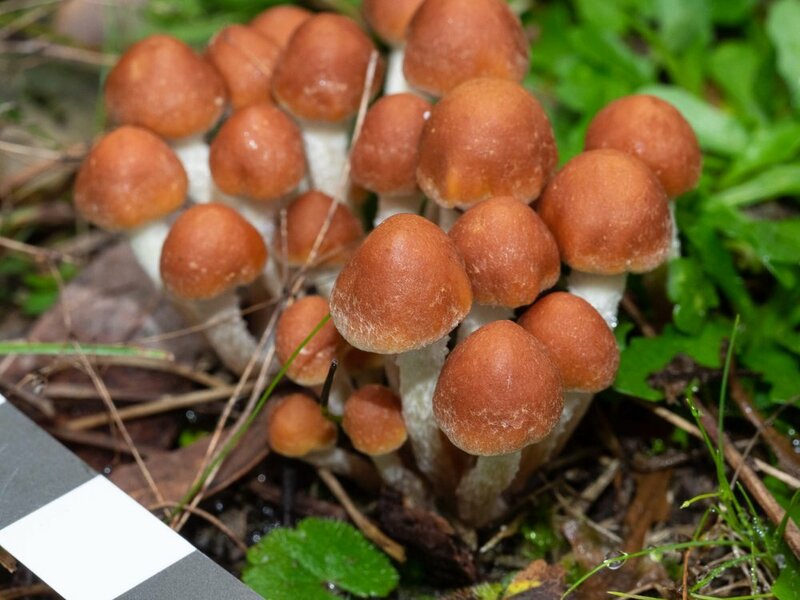 The Sniff Test: many mushrooms just smell, well, 'mushroomy'. But some have quite a sweet, sharp, bleach-like, or rather disgusting smell. Take a note of this, as smell can be a useful identifier. 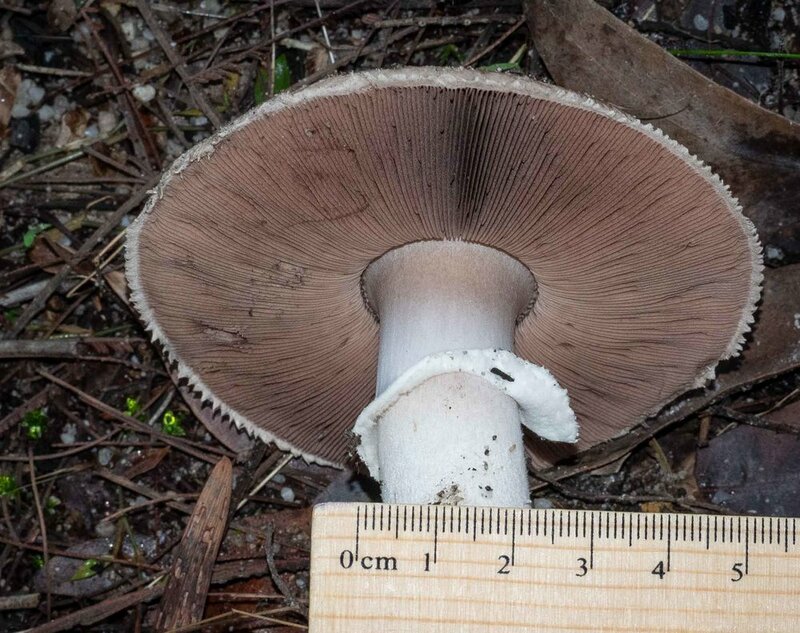 The Pinch Test: some mushrooms, particularly the large ones such as the boletes, turn blue when bruised. Again, this can provide a valuable clue to identification. So give the cap and gills a little pinch, and see what happens. 4: What size is it? ... and this is a bit desperate! 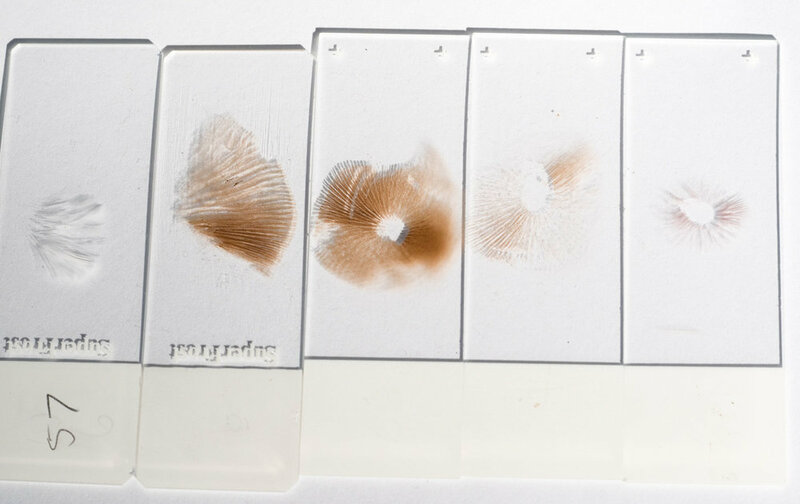 If you're feeling keen, consider making a spore print. The colour of the spores is a clue to identification. Taking a spore print is really not that difficult. Most mature fungi release spores quite readily. Where are you? Don't collect from flora reserves or protected areas, or even private land unless you have permission. Might it be rare? If this is the only one around – perhaps the only one you've ever seen! – best to leave it where it is. A useful trick with spore prints is to use glass rather than paper ... that way you can easily change the background colour. White spores are rather difficult to see on white paper, yet black paper is not always the answer as some fungi have nearly black spores. For most of us, this trap is rather unavoidable. 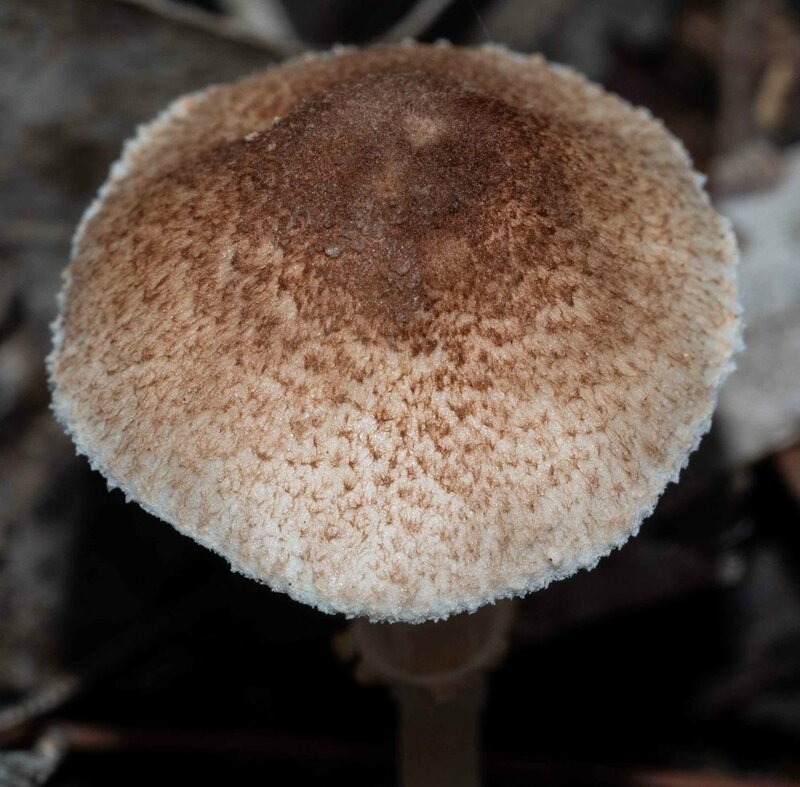 Fungi can change rather dramatically as they age, and so we can all be fooled. A single specimen might be very young, very old, diseased, or just a bit 'unique', and so fail to show the typical features used to identify the species. 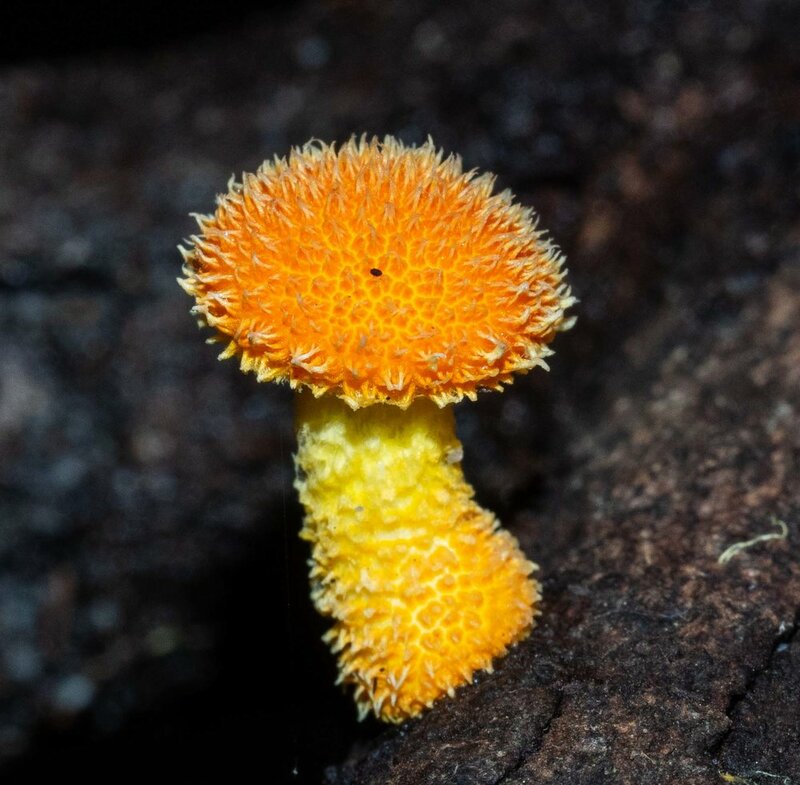 'Golden Scruffy Collybia' is particularly eye-catching when young. In low light, the tiny spheres and immature caps almost seem to glow orange. This is quite a common fungus, with an almost global distribution. In this example, all except the aged specimen are recognisable, but the immature stage is the most commonly photographed and featured in field guides. 'Sulfur tuft' is a common species. Here it is growing on buried, dead tree roots. These images were all taken within a few square metres. 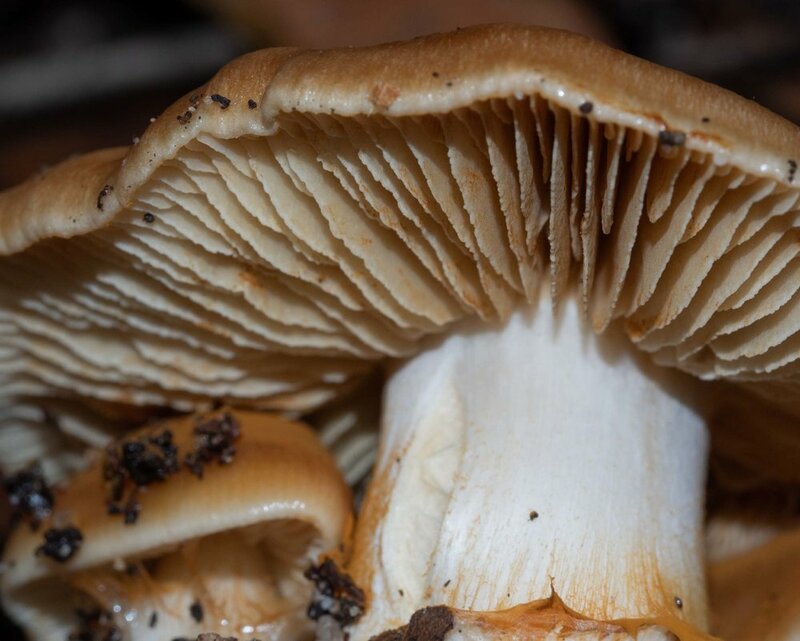 Both young and mature caps are quite recognisable. It's the ageing and decaying ones that are more difficult. 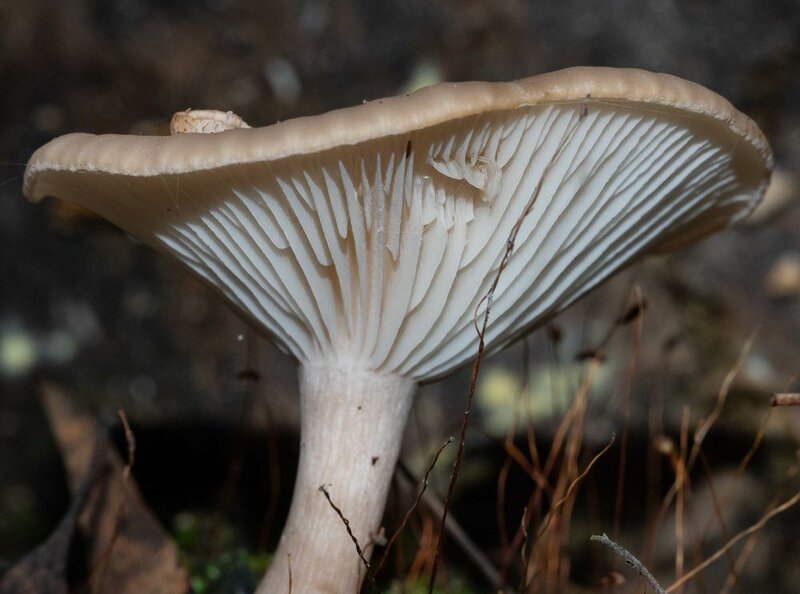 In all cases, however, the gills look greenish-yellow ... 'sulfur coloured' ... a useful clue. Look for 'healthy' specimens. A mushy mushroom is probably way past the point at which it can be identified. And many fungi get attacked by other fungi as they decay, often resulting in some very weird looking specimens. Look about nearby for other examples of (apparently) the same species. Of course, this can be a trap in itself. Take the two jellies in the images below. They were growing just a few centimetres apart and at first I assumed they were the same species. Turns out that they're not. Look again tomorrow ... and perhaps the next day. If I spot a particularly interesting, single, young fungus, I try to watch (and photograph) it over several days. If I'm lucky, it escapes the attention of hungry wallabies until it matures.